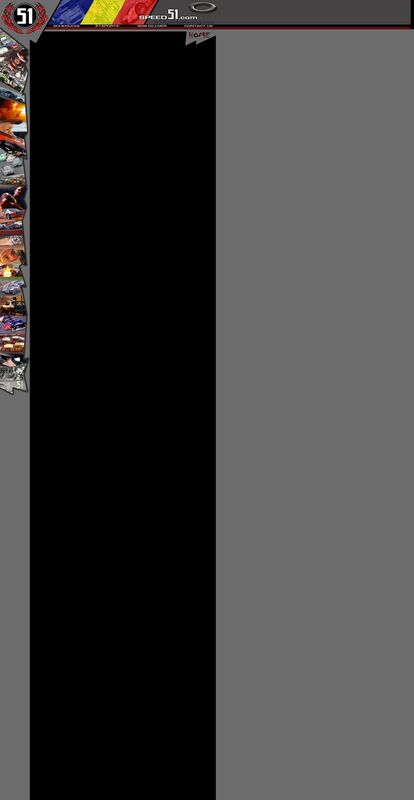 The Christmas and New Year seasons have been here and are now gone, but what’s been going on with the drivers of the NASCAR AutoZone Elite Division, Southeast Series. Where have they been, what have they done? Defending Southeast Series champion Jeff Fultz spent a memorable early December weekend at the NASCAR NEXTEL Cup Series awards banquet rubbing shoulders with some of the top names in the sport, as well as the various other NASCAR champions from across the country. Dusty Williams spent Christmas Eve afternoon with an old friend on a rare lucrative day of trout fishing before going home to watch his daughter open presents for the first time. Three Southeast Series drivers auditioned and made good impressions in a test session for a NASCAR Craftsman Truck Series ride with Roush Racing. 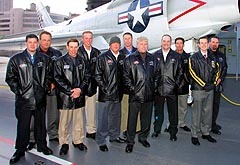 There were graduations to attend, futures to be ironed out, races to keep their skills sharp and the all important goal of preparations in the off-season for a strong 2005 effort in the Southeast Series. In fact, there’s not a whole lot that the Southeast Series drivers didn’t do over the winter months. Just ask Justin Wakefield, who went for a Christmas afternoon walk a single man and came back engaged to fiancée Jen Wright. Erik Darnell has been doing, well, not a lot beside hanging out and doing a little indoor racing on the side. Series ride on the line, it showed that the Southeast Series is full of up-and-coming talent as three of the 25 drivers were tour representatives. 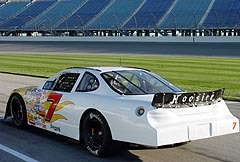 Darnell and Hogan were invited to a second and final Roush Racing test at the famed and tricky Darlington (S.C.) Raceway several weeks later. Hogan agreed with Darnell’s assessment of how hard a track like Darlington was to get around. “I was a little nervous the first lap,” Hogan explained. “I came off turn two and I was like ‘Oh no’ because the wall just reaches out and tries to grab you. After that I was good to go and it was pretty neat. The whole experience was great and exciting. It was just a tremendous accomplishment and a honor for me to be selected as one of the 10 drivers to be invited to the final test at Darlington. I got to meet Jack Roush and even got a call one day from Mark Martin who told me he was impressed with how I did in the test. He told me I had a bright future ahead and that meant a lot coming from a great veteran like him. 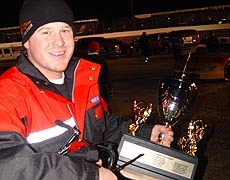 Hogan's off season contained being a part of the winning crew of the Snowball Derby. Hogan also went to the famed Snowball Derby in December at Five Flags Speedway in Pensacola, Florida not as a driver but as a mentor for Stephen Wallace, son of former NASCAR NEXTEL Cup Series champion Rusty Wallace. 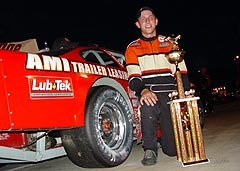 Things worked out pretty good for the Ritchie Wauters owned team, as Hogan helped guide Wallace to the victory in one of the most prestigious Late Model races in the country. Hogan finished up a long-term dream over the winter when he completed an Associates Degree in Vehicle Technology at Lanier (Ga.) Technical College where he plans to follow up with another Associates Degree in Marketing Management. Williams, one of the most popular Southeast Series drivers, admits that Christmas gifts took on a different meaning for himself and wife Tiffany as they got to see their 10-month old daughter Kara unwrap her gifts for the first time. “It was different because it wasn’t about me or Tiffany. It was about Kara,” Williams said. “On Christmas Eve we went to my parents and they gave her about as many gifts to open as she could have asked for. She got the idea of what it was like to open a present and she’d tear the wrapping paper off and try to eat it. My wife and I savor every spare moment of sleep that we can, so on Christmas day we just slept in until Kara decided it was time to get up. When she woke up, we called Tiffany’s parents and they got to come over and watch the spectacle of it all. 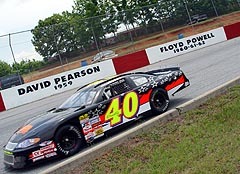 Wayne Anderson made a return to the Southeast Series and finished third behind the wheel of Eddie Mercer's car. In addition to the joy of his daughter’s first Christmas, Williams also spent time studying the books as he nears the completion of his pilot’s license. Kevin Prince, who many see as a very legitimate threat to win this year’s 2005 Southeast Series championship, also said that the best part of his off-season has been enjoying time with his family. Southeast Series drivers Chris Davidson and Allen Karnes said they wanted only one thing for Christmas and received just that – some time to kick back and relax while occasionally wandering out to their garages to tinker on their race cars. While he took some time off, Karnes admits that his fiancée, Laurie McCaurthy, bought him a pretty cool gift that will be used throughout the 2005 Southeast Series campaign. Two drivers – Wayne Bowen and Robert Richardson II – have lined up part-time rides in the Automobile Racing Club of America (ARCA) series when that tour doesn’t interfere with their Southeast Series efforts. Bowen won’t be in the field for the ARCA season-opener at Daytona International Speedway in February, but Richardson II has practiced at the famed 2.5-mile oval and came away with the fastest time in the final practice session on December 19. While Bowen will run a limited ARCA schedule, he hasn't had a great deal of time to relax. His job in the engine shop of the Penske Racing engine department has kept him busy trying to get everything ready for the upcoming season. 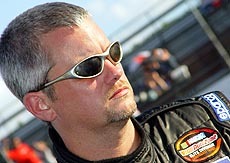 Robert Richardson raced with the ARCA Series once in 2004. Richardson, an avid outdoorsman who shares a love of hunting and fishing, has spent some of his off-season by bagging a rare deer and is preparing to head to the Florida Keys to take part in the Cheeca Lodge Sailfish Tournament in a couple of weeks where he will compete alongside his father. Robert Richardson is a two-time Angler of the Year in the state of Florida and leads the way as he guns for a third title. The drivers from the Southeast Series have indeed had a busy winter, from the high banks of Daytona to a simple walking trail in the Georgia mountains. Now it’s time for the drivers to start getting back to the task at hand that is the 2005 Southeast Series racing season.